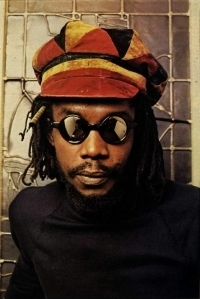 Peter Tosh, born Winston Hubert McIntosh (18 October 1944 – 11 September 1987) was a reggae musician who was a core member of The Wailers who then went on to have a successful solo career as well as being a trailblazer for the Rastafari movement. 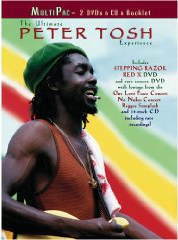 Tosh grew up in the Kingston, Jamaica slum of Trenchtown. He stood out because of his height at 6 feet, 5 1/2 inches (197 cm). 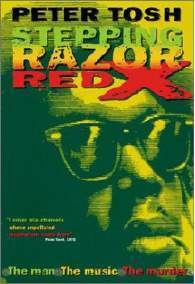 His short-fuse temper and unveiled sarcasm usually kept him in trouble, earning him the nickname Steppin' Razor after a song written by Joe Higgs, an early mentor. He began to sing and learn guitar at a young age, inspired by the American stations he could pick up on his radio. After an illustrious career with The Wailers and as a solo musician, he was murdered at his home. Robbery was said to be the motivation behind Tosh's death.